If you own a Silver car, this car wax was made for you...literally! Get the finish you've always wanted. The clarity of a sealant but the warmth of a car wax - get yours now, fast & free shipping. Apply to whole car or work one panel at a time! Mercury has a longevity of around 3-5 months but can be considerably longer if cared for using our SPA shampoo, which is very gentle and wax safe, no to mention paraben and SLS free - so safe for the environment too. Mercury is the missing piece to puzzle within our colour collection. This car wax, which is specifically for Silver cars has been scientifically researched to ensure you get the very best result for your car. Here at Mitchell & King we focus on achieving the best result and we feel that you will be exceptionally happy with this wax. We know that your car is very important to you, as it is to ourselves, we wanted to blend a car wax which was worthy of the show car title whilst offering you protection on your way to the event. We are always delighted to hear from new or existing clients. You can contact Mitchell and King on 01877 365 005 or you can simply email too. We accept all payment methods including American Express, PayPal, Debit/Credit Card, Bank Transfer and Cheque. 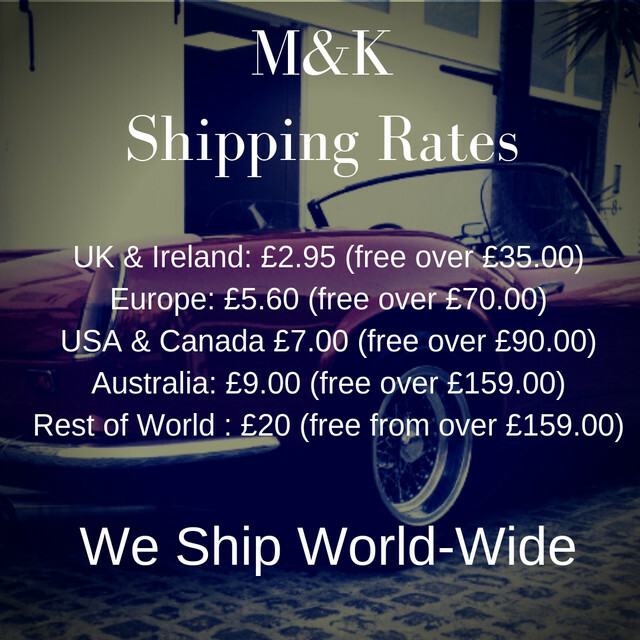 You will receive a M&K welcome pack when you spend over £100.00, this includes a M&K mug, a 15ml sample of wax, a 50ml liquid sample and tunnocks biscuit. Take fresh Microfibre 1300gsm , spritz with Quick Detailer and buff to high shine.